If you’ve been keeping tabs on the gambling industry for a while, it is highly likely that you’ve come across the name PokerStars, one of the world’s most popular poker sites today. Founded in 2001, this is among the longest serving online casinos today whose roots can be traced in Costa Rica. 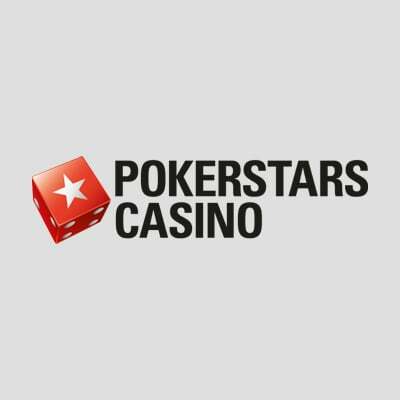 PokerStars was originally owned by The Rational Group before Amaya Gaming (now known as The Stars Group) acquired the company for a reported hefty fee of about $5 billion in 2014. With the ownership swap came several major changes including incorporation of an online casino and a real money sports betting facility on the main site. This means you can now enjoy a wider selection of online games all in one place whenever you visit this operator. We took particular interest in the PokerStars Casino and sought to find out whether the platform is worth your time. As such, we’ll be exploring several of its aspects like the welcome bonus, games available, and customer support among others. One of the standout features of PokerStars Casino are the amazing promotion deals and bonuses provided here. During our review, we were particularly impressed by its generous three tier welcome bonus package. Once you sign up for an account on the platform, count yourself in for a pleasant surprise welcome which runs until the third deposit you make. To claim your bonus, deposit at least $/€25 to qualify for a 100% match deposit bonus up to $/€500. Additionally, you’ll be awarded 20 free spins that you can use to play your preferred Progressive Jackpot Slot with a $/€1M guaranteed prize. You’ll need to use the code ‘WELCOME1’ for this step. A second 100% match deposit bonus of up to $/€500 is awarded to you as long as you deposit at least $/€25 within 14 days of making your first qualifying deposit. You also stand a chance to win a surprise bunch of Progressive Jackpot free spins up to 1000 spins. Use the code ‘WELCOME2’ to claim this bonus. Finally, claim the final 100% match deposit bonus up to $/€500 on your third deposit of $/€25 or more. Just like the second deposit bonus, you can win up to 1000 free spins to use on Progressive Jackpot Slots with a $/€1M guaranteed prize. You’ll also need to claim this bonus within 14 days of making the second qualifying deposit and use the code ‘WELCOME3’ to qualify. In addition to the welcome bonus, PokerStars Casino also offers many other rewards to make your play here even more interesting. For example, the operator has a VIP program whose key objective is to reward you based on your activity on this casino. Play to unlock the various chests offered by PokerStars and which come stacked with special offers like free spins and star coins. Finally, remember to check out the promotions lobby and email for a chance to win/claim random offers and prizes. There’s also a ‘My Stars’ section on the homepage that is updated daily and where you can redeem star coins for instant bonuses or free spins. At this point, you possibly already know that all casino bonuses almost always come with a catch, or what is professionally known as the wagering requirements. Now, PokerStars Casino has a rather complex model for its wagering requirements which we can bet you won’t find on many places. In simple terms, you’re required to earn three ‘redemption points’ for each Euro you receive as a bonus. There’s a table on their website that outlines the different types of games and their redemption points you earn while playing them. We have to admit that this system is poorly explained and will possibly sound confusing to navigate, but it does appear fair nonetheless. It’s worth noting that free spins awarded to you expire 7 days after issuing while deposit bonuses expire 28 days after being issued. All deposits are processed almost instantly but withdrawal times vary depending on the method used. If you’ve just won and want to get hold of your winnings a bit quicker, consider using any of the e-wallet methods such as PayPal and Skrill for your withdrawal. These methods take the shortest time (usually within 24 hours) when it comes to withdrawal times. If you choose credit/debit cards, you’re likely to access your money within 3-5 days. Bank transfers take about 3-7 days to complete while cheques take the longest, usually within 1-2 weeks. Remember to take into consideration the pending time that the casino’s administration requires to countercheck your information and approve your money for processing using your chosen method. This period may last for between 24 and 48 hours which is pretty much the industry standard waiting time for most online casinos. PokerStars Casino accepts several currencies including US Dollars, British Pounds, Canadian Dollars, and Euros. The gaming lobby at PokerStars Casino is packed with an exciting collection of games across different categories. Whether your preferences lie in slots, blackjack, live games, poker, or even progressive jackpot games, this is where you’ll find it all under one roof. Currently, there are over 400 games to help satiate your gaming desires and an army of software developers adding more with each passing month. Some of the biggest names of providers to find here include Microgaming, Quickspin, NYX Interactive, NetEnt, Leander Gaming, and Playtech among many others. For starters, PokerStars Casino has a very decent selection of slots by any account. Visit the ‘Slots’ section on the platform to access more than 300 slot games including the popular Divine Fortune, Starburst, and Book of Dead among others. Here, you’ll find different categories of slots such as Vegas slots, progressive jackpot games, and newly released slots. And if slots are not your kind of games, check out other options available on the lobby including video poker games like Super Jackpot 100 and Deuces Wild. There’s also a significant number of table games such as blackjack, baccarat, roulette, and their variants. Finally, remember to explore PokerStar’s live games lobby where you can play casino games such as roulette, baccarat, and some variations of poker with other gamblers from around the world. Nearly all games on this casino come with a Free Play/Demo version which means you can practice your skills before playing for real money. To play, you’ll need to download their client which is available for both Windows and Mac computer. However, Mac users have access to limited games compared to their Windows counterparts although PokerStars has promised to continue adding more games to their pool. Games are super quality – possibly better than you’ve seen anywhere else – and come with slick animations and amazing graphics and sounds. However, while we’re thoroughly impressed with the variety and quality of games available here, we would like to see PokerStars Casino offer Instant Play/Flash variants in the future. Having been in the online casino scene for close to two decades now, it shouldn’t come as any surprise that PokerStars Casino is among the platforms that have already embraced mobile gaming. As such, you’ll can expect to enjoy nearly everything available for desktop users on that smaller screen, from anywhere as long as you have access to a stable internet connection. Some of the key features to enjoy on a smartphone include a vast number of games including live dealers, payment methods, Star Rewards and other promotions, etc. There are two ways in which you can play PokerStar Casino’s games using your smartphone; on your web browser and on a mobile app. If you choose the former, ensure you have an up-to-date browser like Chrome or Safari and that your smartphone or tablet is powered by either iOS or Android OS. PokerStars has also developed powerful and highly interactive native apps for Android and Apple users – find them at the Play Store and AppStore respectively. Forget the hassle of being stuck at a fixed place and having to turn to your PC every time you want to play. Just grab your phone, sign into your account, and begin playing your favourite games, whether for fun or for real money. Access hundreds of games and enjoy an impeccable experience just as you’d do on a desktop. Playing online is fun and convenient for a majority of gambling fans; however, it comes with some level of risks such as the possibility of dealing with an unscrupulous operator. To minimise such risks, you need to be sure you’re playing games on a legitimate platform that’s licensed and governed by reputable authorities in the industry. PokerStars Casino is one such company having been certified by the widely respected Gaming Labs. Additionally, this operator is licensed and regulated by several jurisdictions including the UK Gambling Commission, the Malta Gaming Authority, and finally the Gambling Supervision Commission in the Isle of Man. Also, the fact that the casino is now part of a publicly listed company, The Stars Group, means that it has to adhere strictly to various ground rules and maintain a reputation, at least for the sake of its investors. One of the key features that we like the most about PokerStars Casino is its all-round-the-clock customer support service. In an industry where glitches and big money losses are likely to occur any time, it pays to work with an operator that is ready and always available when a need arises. Luckily for you, PokerStars Casino has over the years maintained a stellar reputation for being efficient and prompt when handling customer issues. The company’s support reps can be reached via several channels including email, live chat, social media profiles, and an online contact form. There’s also an extensively done FAQ section where all common questions asked by users are answered comprehensively and published here. The only complaint we have concerning customer support is on the lack of telephone service. In an age where provision of quick solutions to problems is a sure way of retaining more customers, phone support should be a priority for any company. 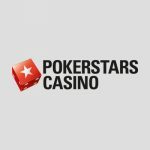 Coming from one of the most respected names in the gambling industry, PokerStars Casino has continued with the tradition of PokerStars brand (and The Stars Group by extension) to offer players unique and rewarding online gaming experiences. Sure, the website doesn’t boast the biggest collection of slots and table games in the business, and the progressive jackpots may not be sufficient too (the casino is still growing anyway). However, there’s no denying that everything about the operator is done professionally ranging from the top-notch customer support offered here to a stylish website and decent bonuses. Having said that, if your interest is in poker but still have a soft spot for spinning action and love some nice welcome bonus, then we highly recommend that you check out PokerStars Casino.